The African Cup of Nations starts on the 17th of January and runs through to the final on the 8th of February. Plenty of English eyes will be on the tournament, as a host of Premier League players will be competing for their respective countries. The likes of Wilfried Bony, Yaya Toure, and Papiss Cisse will leave their clubs for the tournament in Equatorial Guinea, and fans and managers alike will be hoping for their safe return. Equatorial Guinea stepped in to host the tournament at the last minute after Morocco pulled out due to fears about the spread of Ebola. At one stage it looked as though the competition may not even take place, but thanks to the Central African country, the Bi-Annual tournament will go ahead as usual. Ivory Coast head the market, and that’s no surprise as they’re current team has been labelled the Golden Generation of Ivorian football. Manager, Herve Renard, has warned them though, that this is their last chance to win a trophy with the majority of the team still together. It will be the first tournament since Didier Drogba’s retirement from international football, and the last before Kolo Toure’s retirement. They can still boast a squad that include Yaya Toure, Tiote, Gervinho, Zokora, Kalou, and Bony, though, and probably have the most quality of any side going into the competition. They’ve been drawn in a fairly tough group, with Cameroon (who beat them 4-1 in qualifying), and Mali (who were semi-finalists two years ago). They can still be fancied to progress, but as the World Cup showed, they have regularly failed to live up to the hype, and they haven’t won the competition since 1992. 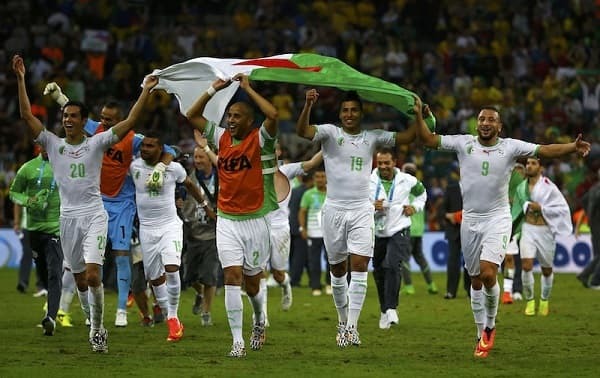 Algeria performed extremely well in the World Cup, qualifying from a group which contained Belgium, Russia and South Korea, before taking Germany to extra-time in the second round. A repeat of that level of form in this tournament should see them go very close, and while they may not have the biggest names in the competition, they probably have the best overall team. They’ve been drawn in the ‘Group of Death’ with Senegal, Ghana, and South Africa, which tempers enthusiasm slightly, but this is only a sixteen-team tournament, and they will have to play the better sides at some point if they are going to win it. They’re the top-ranked nation in Africa, and their defensive ability is what makes them stand out against most other sides in the competition. They scored 11 goals and conceded 2 in winning their first 5 qualifying matches, and only lost the last game 2-0 to Mali after qualification was secured. Ghana are another side who have a wealth of talent at their disposal, but rarely seem to put it all together on the big stage. The issue of World Cup bonuses is still hanging over their heads, and the disgraced duo of Prince-Boateng and Muntari, who were sent home from the World Cup, have not been included in the squad. They appointed former Chelsea and West Ham boss, Avram Grant, as manager in December to take them into the tournament, and he won’t have had much time to get to know his players, or work with them. This might turn out to be a poor tournament for the Black Stars, and it wouldn’t be a huge surprise to see them crash out in the group stage. Senegal have some real talent at their disposal, and South Africa are playing well at the moment, and with Algeria the other team in the group, Ghana look to be up against it. Tunisia could be the next best bet after Algeria, and they have been given a relatively kind draw. They face Cape Verde, D.R. Congo and Zambia in group B, with their semi-final opponents coming from group A. They coasted through qualifying undefeated with 4 wins and 2 draws, and they’re coached by experienced Belgian manager, Georges Leekens. Cameroon are another side who under-performed in the World Cup, losing all three games amid rumours of match-fixing. Talisman Samuel Eto’o retired from international football, and they’ve also had to make do during qualifying without the services of Barcelona’s Alex Song, who is currently on loan at West Ham. The talented midfielder was sent off for an elbow in the World Cup clash against Croatia, and despite meeting up with the squad to discuss participating in the tournament, he has instead come out and announced his own international retirement this week. However, it’s not all doom and gloom for the Indomitable Lions. They were unbeaten and conceded just one goal in six qualifying matches, and it could be the start of a new era for the national side. Senegal have a strong Premier League presence in their side, with Cisse (Newcastle), Diouf (Stoke), and Diame (Hull). However, Mane (Southampton) has been ruled out of the tournament through injury, and Sakho (West Ham) is touch and go with a back injury. Head coach Alain Giresse might now be regretting the decision to leave out former Chelsea man Demba Ba, who has scored 16 in 19 in the Turkish league for Besiktas. Senegal were just a point behind Tunisia in qualifying, and only conceded once in their six matches, so could be a lively contender if they navigate a way through the ‘group of death’.